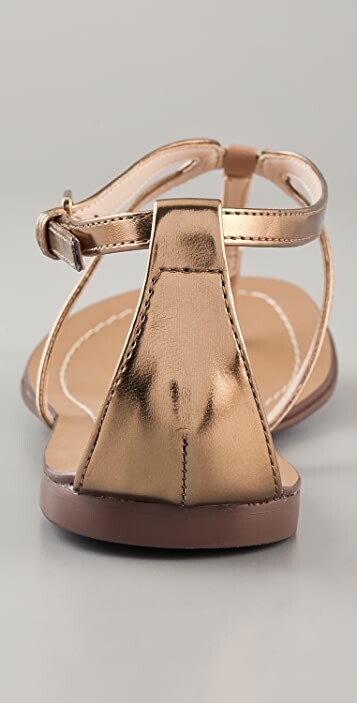 These metallic thong sandals feature a matte T-strap and a buckled ankle strap. Synthetic sole. Love these - thong is comfortable! A deal and they look pricey!!!!! 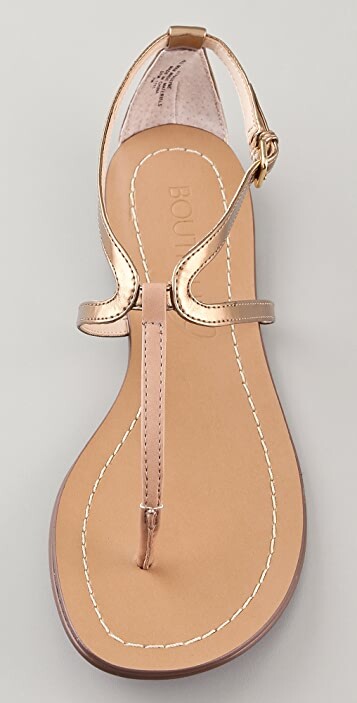 Very pretty sandal, true to size. But this leather strap in the centre is very harmful and rough, can't wear them. 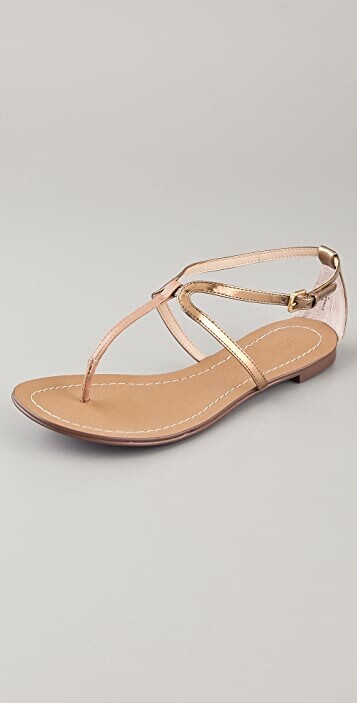 i love the color of these sandals and the design, but the only disappointing thing about them is that they're a bit too big. like the other reviewer suggested, order half a size down. 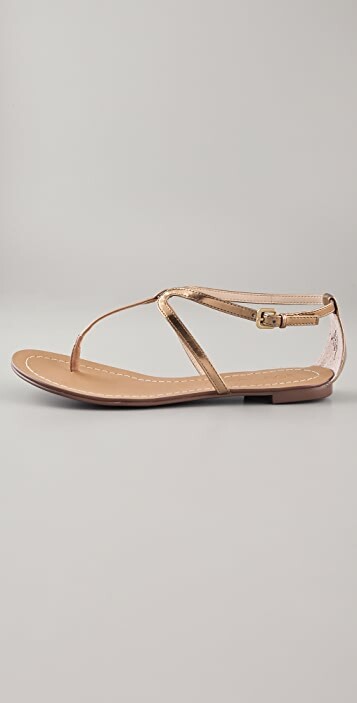 but other than that, they're extremely comfortable and cute for the summer!